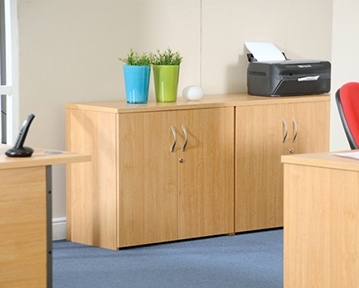 As attractive as they are practical, our wooden office cupboards are available in a range of styles and designs. 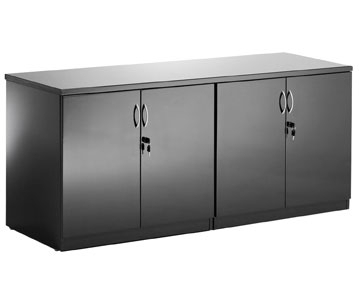 The collection includes full height cabinets, combination cupboards with open bookshelves on the top, credenza style designs and desk-high versions. 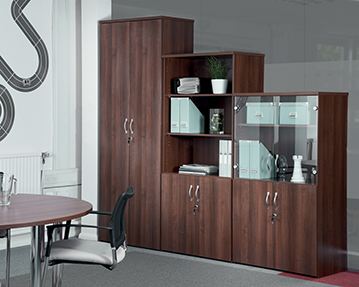 With such a wide variety of options on offer, you’re bound to find a design to suit your office interior here at Furniture At Work. 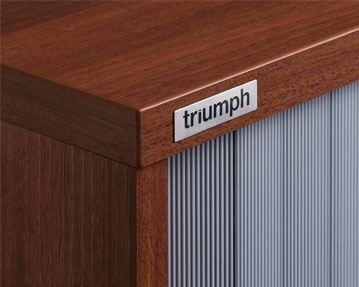 You can choose from an array of heights and wood finishes, with both economy and executive designs on offer. 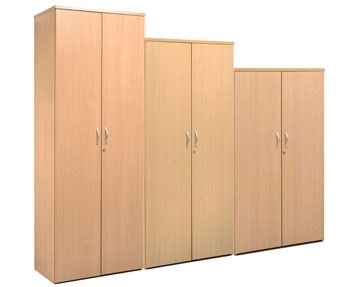 Many of our cupboards are also multi-functional and suitable for general office spaces, boardrooms and reception areas, and they can be used to store everyday supplies and equipment. 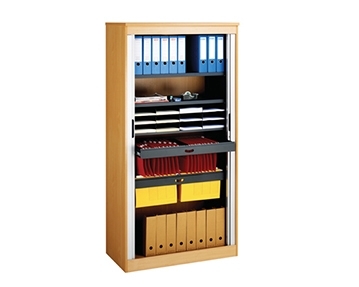 If you require extra storage capacity, we offer a variety of individual shelves to complement our office cupboard range. You’ll also find a number of handy design features, such as lockable doors, adjustable shelves, protective edging and wipe-clean surfaces. 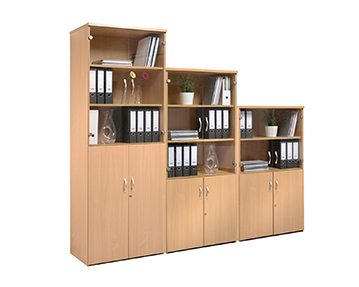 For more information on our wooden office storage cupboards, why not peruse our range of high-quality wooden office cupboards today? If you have any questions or require our expert advice, please do not hesitate to call us and speak to one of our friendly and professional members of staff. We’re always happy to provide guidance.